Mary Ann (Saylor) Thomas turned her final page shortly before 9 AM on Thursday, January 31, 2019. She was a lifelong avid reader and always had a book near at hand. In December 2018, around the time of her 84th birthday, she was diagnosed with Acute Myeloid Leukemia, which along with pneumonia and heart disease was the cause of her demise. Mary Ann was born in Pittsburgh on December 22, 1934 to Albert C and Lynnetta R (Morgan) Saylor. Her father’s family were area pioneers and longtime Meyersdale residents while her mother was the child of a Welsh immigrant. Mary Ann was very proud of her heritage from both sides of her family. Mary Ann graduated from Meyersdale Area High School in 1952. After graduation she attended Catherman’s Business School in Cumberland, Maryland. Upon completing her course of study there she began a career, spanning nearly 50 years, at the newly founded Meyersdale Community Hospital. She started there as a Bookkeeper and worked her way to the top, becoming the Hospital Administrator. Her final position at the hospital was the Chief Financial Officer. 1952 was a big year for Mary Ann. In addition to graduating from high school, business school and beginning a career, she got married. On November 22nd of that year she was married to Stanley B (Chief) Thomas. That union lasted just shy of 54 years, until Stanley B passed away in 2006. Mary Ann and Chief started their family of five children in 1956 by welcoming Jefferson Lee (Deborah). Stuart Jackson (Samlek) was next, followed shortly by Stanley Johnston (Kathy Brant, deceased). Albert Kim (Ellen) came along next and finally, last but not least Georgia Ann (Jerome Potts). In addition to her own kids she was always welcoming to all the neighborhood kids especially her nephews Dave, Greg and Walt Thomas. There was always room at the dinner table for anyone that her kids brought home with them. Mary Ann along with her sister-in-law and friend of over 60 years, Margaret (Peg) Thomas, organized picnics, birthday parties, swimming, cub scouts and fun. Mary Ann spent a great deal of her life at ball games. From the early 60’s through 2018 she attended baseball, basketball, soccer, volleyball, rugby and football games. She cheered on and encouraged not only her own 5 children’s teams but also those of her grandchildren. There were also dance recitals, plays and beauty pageants going on. She attended every one that she could. Mary Ann loved family get-togethers. Whether it was taking everyone to the beach or holiday dinners. Every year she would take all of her family to her favorite place, the Outer Banks of North Carolina. She fell in love with the beach there in the mid 60’s and never tired of it. Gathering there with her family was the highlight of her year. The family has expanded over the years and at times multiple houses were required to accommodate everyone. She also loved holiday celebrations. In addition to her family she was able to share those times with her sister Sue Frederick (Anthony Marchetti) and her special niece and nephew Merritt (Thomas Jones) and Eben (Julia) Frederick. In addition to her family and career Mary Ann had always taken her civic responsibilities very seriously by generously donating her time to many causes. Up until the onset of her illness she served on the boards of both the Meyersdale Public Library and the Meyersdale Historical Society. In addition to being on the board of each of those organizations she served as Treasurer for each of them. For many years she has also donated her time to Tax Aid providing free tax preparation services to many in the surrounding area. She was a past member of the Salisbury Elk Lick School Board and for many years served as a Salisbury Borough Auditor. 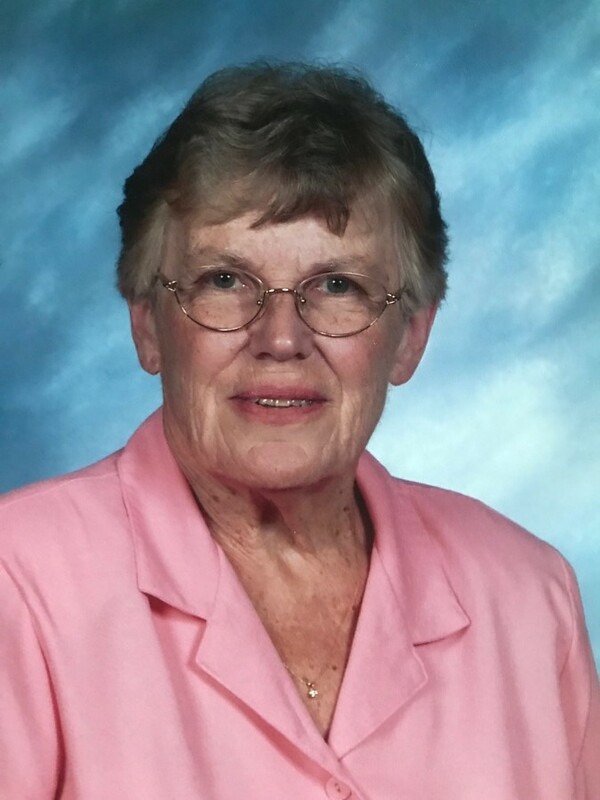 Mary Ann was an active member of the St. John’s United Church of Christ and a past member of the Church Consistory. She also served the community as a Census Taker. Socially, Mary Ann was a member of the Queen City Chapter of the Antique Automobile Club of America. She also regularly got together with the local widows group. Mary Ann loved to travel and went on many cruises and bus tours. She made many cross country trips by planes, trains and automobile. Internationally she visited the Caribbean islands, Mexico, Canada, Great Britain and Europe. Overall, her true passion was her family. In addition to her 5 children she was blessed with 8 grandchildren: Christina; Kelly; Jantira; Sontaya (Michael Maistros); Daniel (Jaime); Amy (Marty Johnson); Ashley; and Treyson Potts. She was also GG to 8 great- grandchildren. Mary Ann, Mom, Grandma, and GG will be missed by many. In lieu of flowers, donations to the Meyersdale Public Library, 210 Center St., PO Box 98, Meyersdale, PA 15552, would be appreciated. Visitation will be held Saturday February 9th at 12 noon followed by a 2pm memorial service at The Newman Funeral Home, Mason Dixon Highway, Salisbury, PA.